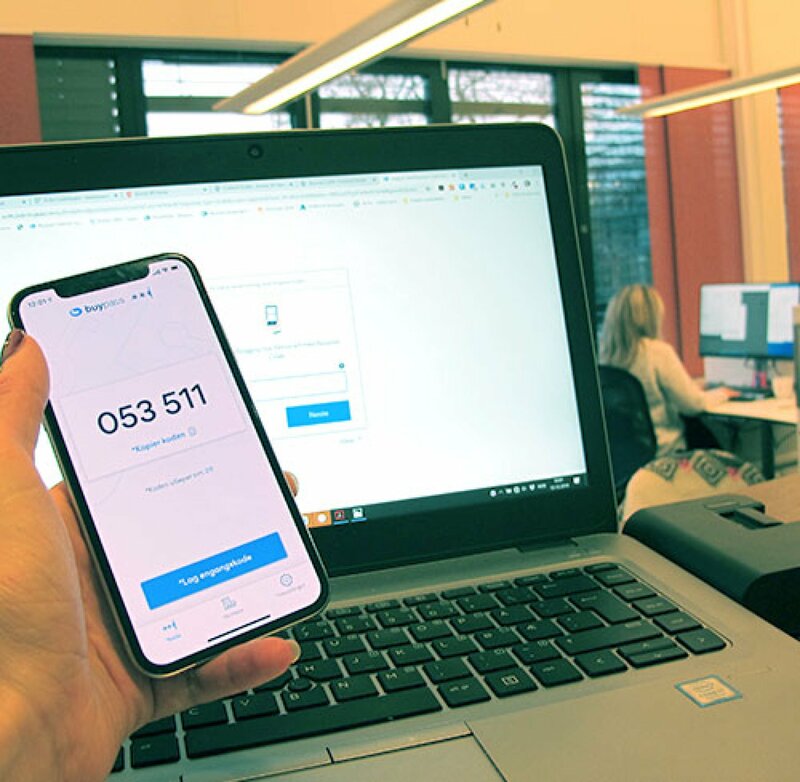 Buypass Code is a Norwegian-produced two-factor authentication solution with its own app for mobile phone, tablet and PC. It’s easy to implement and easy to use - and gives your business solid security by requiring a one-time code after the password. The solution is very easy to implement and provides secure access to systems and data within your own infrastructure and in the cloud. We have already established the infrastructure you need to use the solution, so everything is delivered as a service. As a customer, you do not have to own or maintain servers. This provides a very cost-effective solution to get started quickly with two-factor authentication. The solution is managed through a clear web interface. Distribution of the application is very simple. Employees download the app to generate one-time codes via the App Store, or by sending a password by SMS. For users who cannot or do not wish to use Buypass Code on their mobile phone, a Windows application can be used instead. The solution can be set up to deliver "offline" tags to the application on mobile for situations where the user is unable to access data. The user generates one-time codes by entering a self-selected 4-digit PIN. The one-time code is generated in Buypass' ISO 27001 and ETSI TS 102 042 certified infrastructure, and is encrypted and sent to the application without the use of expensive text messages. Payment is based on a monthly fixed price per active user, regardless of the number of authentications. Buypass Code Manager makes it easy for the business to manage users and keep track of usage. Web-based interface to manage users and configure the connection for authenticating users. Accurate event log for identifications and status. Overview of active, blocked and inactive users. Easy code generation for users who have been blocked. Buypass have developed operator-independent mobile solutions since 2002, and have over 600,000 active users on the mobile platform. Supports all relevant mobile platforms. iOS (iPhone, iPad), Android, Windows Phone 7 & 8, Symbian & Java. Test the solution for free for up to 30 days. After the trial period, you can continue to use the solution based on a favourable fixed monthly price per active user. During the trial period, your users can even download the free Buypass Code app to their mobile phone. Administration of users is easy to manage using Buypass Code Manager.